Her fans will be uber-excited that the delectable songstress is back again on the Trek, but we can’t help feeling that Miss Savage might feel a little bit lonely as the she emerges the only female performer on Star Music Trek 2014. From a look at this year’s line up, Tiwa is the only female artiste in the exciting 17 star line up which will tour Nigeria for three months bringing superstar musicians and hit-makers to semi urban cities across the country. The sensational singer was officially unveiled at the sign on party, which held at The Marquee, Federal Palace Hotel Victoria Island Lagos as one of the 17 select performers on 2014 The Trek. Last year’s Star Music Trek ladies Waje and Seyi Shay, are conspicuously missing on this year’s line up. 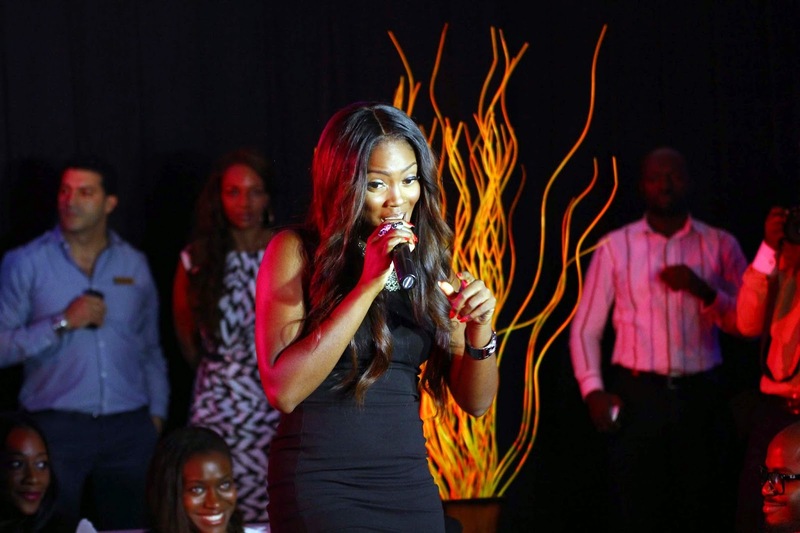 Tiwa will enjoy the company of her male colleagues 2face Idibia, Olamide, Dr SID, M.I, Naeto C and others. And who knows – maybe we’ll get to see some surprise female additions as The Trek goes on? Confirmed Star Music Trek 2014 performers include 2face, Tiwa Savage, M.I, Olamide, Davido, Wizkid, Wande Coal, Sound Sultan, Pasuma, Mr Raw, Dr Sid,Naeto C, KCee, Sean Tizzle, Phyno and May D.